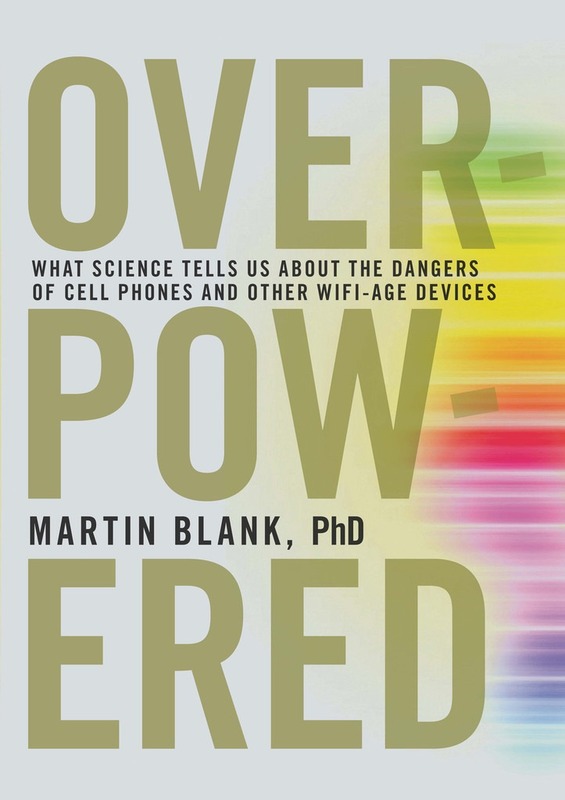 Dr. Martin Blank (who recently spoke at the Get Wired Too conference in Sussex) is the author of “Overpowered – What Science Tells us about the Dangers of Cell Phones and other WiFi-age Devices”. Biological science clearly demonstrates that all frequencies of EMF – including the non-ionizing radiation created by your cell phones, laptops, tablets, and the WiFi antennas in them – can react with and damage DNA. The DNA damage can then lead to cell death or remain as a mutation, which can lead directly to serious diseases, including cancer. One of the most important series of studies on the question of DNA damage from exposure to non-ionizing electromagnetic radiation was performed by Drs. Henry Lai and Singh starting in 1994 and running through 1998. Lai and Singh, working at the university of Washington, wanted to answer a simple question: Does non-ionizing radiation damage DNA? To make the results more applicable to daily life, Lai and Singh decided to use levels of EMF radiation considered ‘safe’ by government standards. Their results showed that even exposure of only two hours increases the frequency of DNA strand breaks in the brain cells of living rats. Lai and Singh then performed similar experiments with lower frequencies of EMF … The levels of radiation at which Lai and Singh demonstrate this damage are well below the limits set by the current safety standards for technologies like cell phones, WiFi networks, and microwave ovens. Even more disturbingly, Lai and Singh found that the DNA in the rat brains continued to break down for hours after exposure ended. This suggests that the exposure not only causes immediate damage, but also unleashes a chain of processes that continue to produce damage after the exposure itself. The biological effects on our living cells is not only limited to damaging DNA strands, it also affects protein synthesis and cellular stress response. The reduction in the cells’ ability to invoke the stress response leaves us more susceptible to disease. Beneficial environments stocks products which can protect you from EMF. 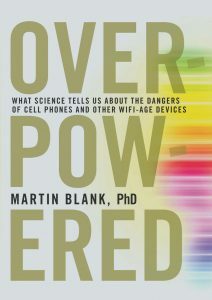 Dr Blank’s book Overpowered can be found in most good bookshops.